Looking for the absolute underdog in terms of travel destinations? Then put Ukraine’s capital to the top of your list. Although its 3 million inhabitans make Kiev the same size as Chicago and even twice the size of Milan the city itself is the absolute underdog when it comes to traveling. Despite its size and importance for the region, Kiev basically is one of the most underrated of all major cities worldwide. Even though Kiev’s importance for Ukraine and Eastern Europe is massive, the interest of foreign people to visit, move and live there is almost non-existent. Why is Kiev so underrated in this regard? Two reasons come into pla. First off, it is pretty safe to say that Kiev is not really blessed with a rich history in tourism, let alone traveling or expat communities. 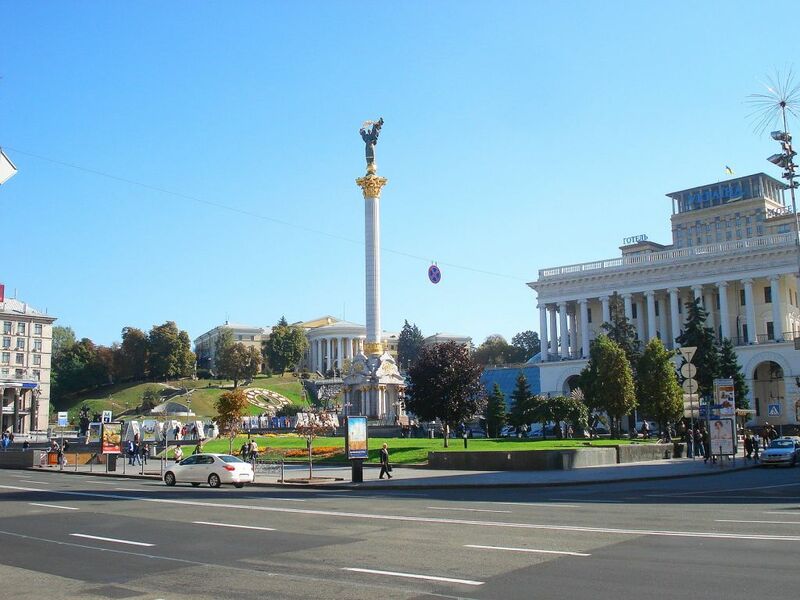 Unlike many other Western European cities Kiev – or perhaps even Ukraine as a whole – has always been a travel destination off the beaten track. 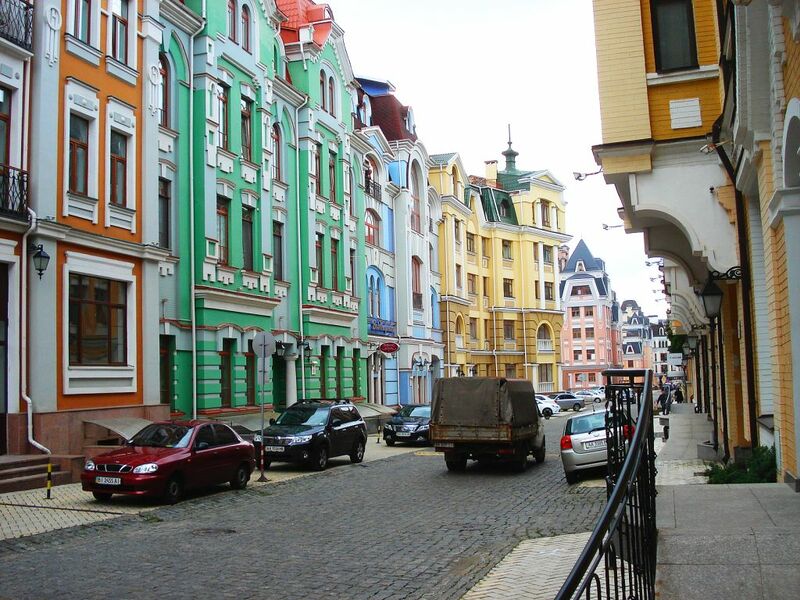 Kiev-Vozdvizhenka: The most undiscovered part of town in an almost undiscovered city. To give you an idea about how different Kiev really is let us just compare the number of overnight stays at hotels in Kiev to those of a medium-sized city in Western Europe. Even if we pick Dublin, the rainy capital of Ireland, as the guinea pig for our comparison, the results nonetheless are astounding. At 1/6 the size of Kiev the tiny David of Dublin manages to triumph over the Goliath of Kiev by a landslide victory. A total of 9 million overnight stays in Dublin are met by a mere 950.000 stays in Kiev. This list goes on as even unimposing cities like Scotland’s capital Edinburgh rack in 7 million stays per year while Kiev is struggling hard to cross the 1 million mark. Second, the enormous media coverage of the 2014 Maidan protests, where burning buildings and protestors wearing pots for helmets were a daily sight on news outlets worldwide, did its part to add to Kiev’s bad reputation with travelers. These days, even the more experienced travelers will raise their eyebrow when asked about going to Kiev. Very much undeservedly, Kiev is cloaked in an obscure fog of mistery and misconception while cities in bordering countries such as Budapest in Hungary, Varna in Bulgaria or Wroclaw in Poland all manage to attract virtually millions of tourists, travelers and new expats each year. Rebuilt after the 2014 protests and now shining in new glory: Maidan square, Kiev. In regard to the cost of living things start to get interesting for the curious traveler once you combine the city’s modest history in the hospitality business with the aftermath of the protests. Asking a very simple question will illustrate Kiev’s current standing in the ancient law of supply and demand : What do you get if you combine a historical lack of demand with an even bigger lack of demand due to protests that made it to the headlines of all major newspapers worldwide? Correct, you are facing a tremendous surplus in supply that will to low demand and thus low prices. Apply this insight to the cost of living and you can be sure that the cost of living in Ukraine’s largest city is ridicously low. Today more than ever, and especially so for anyone who is used to paying a horrendous $18 for a cocktail (Milan) or even $2.25 for ticket on the subway (Chicago). Here are two unpleasant thruths that will save you from getting hyped-up about undiscovered Kiev. The first one is crucial as it has to do with getting to the city. Kiev is located not by the border, but in the geographical heart of Ukraine. As a consequence, all neighbouring cities in the population range of 1 million people, namely Budapest, Bucharest and Warsaw, are all about 1000km (620 miles) away, making a drive to Kiev an exhausting trip on often worn-out Eastern European highways. Things start to look better when you are going by air as the Budapest-based low cost carrier Wizzair has made Kiev one of its hubs for the region. Wizzair might only serve a handful of Western/Central European airports with London-Luton, Cologne, Budapest and Kattowice among them, nonetheless tickets can be had for as low as $355 (London-Luton, direct flight, roundtrip). Sadly, Wizzair is the only low-cost airline serving Kiev these days. If you planned to combine flights of different low cost airlines in order to put together your own tailor-made trip then you are inevitably in for a disappointment. The good news, however, is that regular flights to Kiev are not overly expensive. Lufthansa offers daily flights from Frankfurt for about €490 (direct flight, round-trip) while an overseas flight from New York City’s JFK will cost you about 780€. Surprisingly, a round-trip ticket from Los Angeles (LAX) can be had for almost the identical price if you make use of a price comparing website like skyscanner.com. Ready for the next downside about living in Kiev? 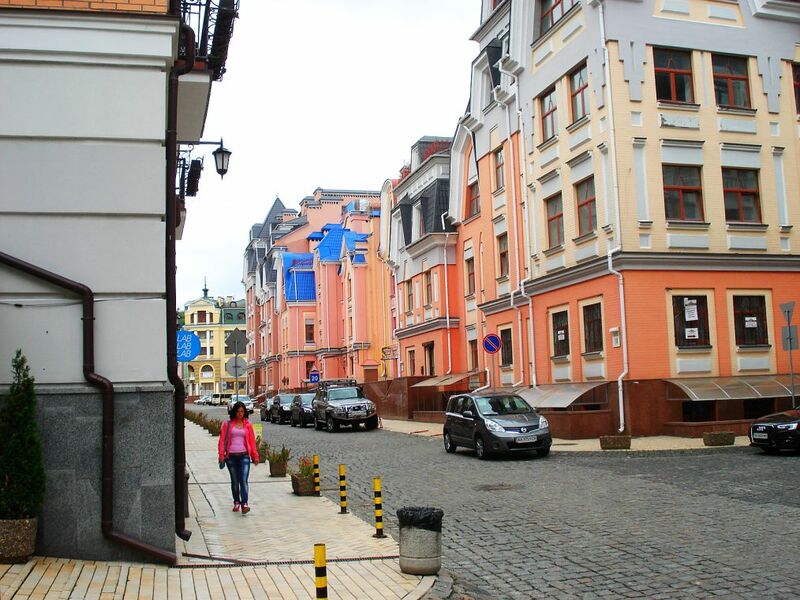 As Kiev has some of the lowest cost of living of all major European cities one would expect that the field of housing and accommodation would be no exception to the rule. Sadnly, that is just the case. Rental prices in Kiev follow no inherent logic and can be shamelessly high in a way that would make a Manhattan-based realtor blush. The reason behind that is rather simple. A little know fact about housing in Eastern Europe is that almost 95% of the people own the place they live in. This outstanding fact, too, has his unique history. When Socialism collapsed like a sandcastle back in 1990, all formerly state-owned housing had to be transfered into private property within months. What the authorities did was sell every single citizen the apartment he was living in for a fraction of the actual market price. The one-time investment of anything in between the range of $200 to $800 allowed you to say goodbye to paying rent forever and become the king of your own castle. It’s no big surprise that this was an offer no one could refuse. As the outcome of this procedure basically every Ukrainian citizen is a homeowner that hasn’t paid rent in the last 25 years of his life. What does this mean in regard to the cost of living in Kiev? It means that renting a place long-term is an absolute niche-market which the locals ultimately attribute to either “rich foreigners”,students living in dormitories – or people freshly released from prison. A regular market for apartment rentals in the whole of Ukraine is pretty much non-existent. The existing rental market in Kiev is in the hand of either landlords that rent out on a daily basis exclusively and would never rent out for a longer period of time, or it is in the hand of larger companies, i.e. families, making the rental market as rigged as the roulette table in a backyard casino in Macau. The most expensive shoebox in the world. Price-wise a halfway centrally located studio apartment is what you can expect for the monthly rent of about $600 (Ukrainians often prefer US-Dollars over €uros), utilities of another $50-80 per month not included. An amount that will be more than what the average white-collar worker makes in a whole month. If you prefer a well-refurbished 2- or 3-bedroom apartment that is conveniently located on Khreshatyk, Kiev’s main avenue in the very heart of the city, then your apartment may just be based in one of the impressive 9-story buildings toweing the impressive Khreshatyk avenue. Keep in mind that in any case will you be paying paying a monthly rent ranging in between $1,200 and $2,000 for your future home located inmidst socialist classicism. If paying $2,000 for rent in a country that by OECD standards files as a developing country doesn’t make you feel like you are being had, then I wouldn’t know what does. In short, if you want to live halfway near the city center then renting prices are to be considered the main downside to living in Kiev. 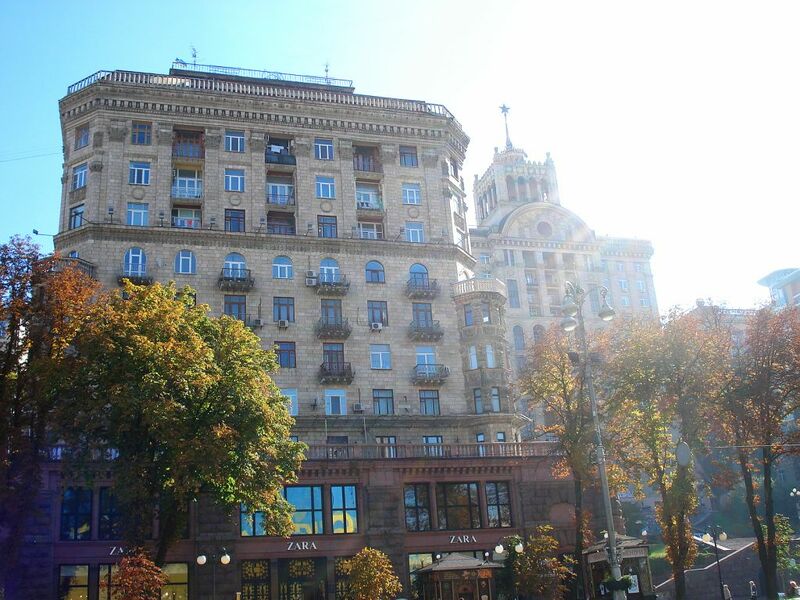 Sun drenched residential building on Khreshatyk Boulevard, Kiev’s prime residential location. On top of the intense prices, landing a renting-contract for any period of time shorter than 6 months will mean a lot of phone calls and dealing with a lot of rejections. If you wanted to live in Kiev just for a single month then your best bet is to convince a daily rent-landlord to rent out his place for a longer period of time. As an insider tip I advise you to turn to the landlords on the apartment rental site of Airbnb.com as the people on that site are most familiar with your diverging Western rental needs. Send out lots of requests and start haggling about prices immediately as you will be staying for more than just a couple of days. An alternative to renting an apartment is renting a private room at one of Kiev’s many hostels. While you may save a good amount of money that way, you will also have to rely on the hostel having vacancies for your desired time. Additionally, Kiev hostels vary heavily in quality. While some of the hotels may be on-par with Western standards, many of them range way below. Think bunk beds that seem more like outdated military equipment instead of real beds. With the two downsides of living in Kiev out of the way we can turn to those things about living in the city that have a more easy-going touch to them. And transportation definitely is first in line here. A regular subway ticket in Kiev comes at the price of 2 Ukrainian Gryvna (UAH). Luck has it that 2 Gryvna convert to no more than $0.09 or 8 Euro Cent, respectively. 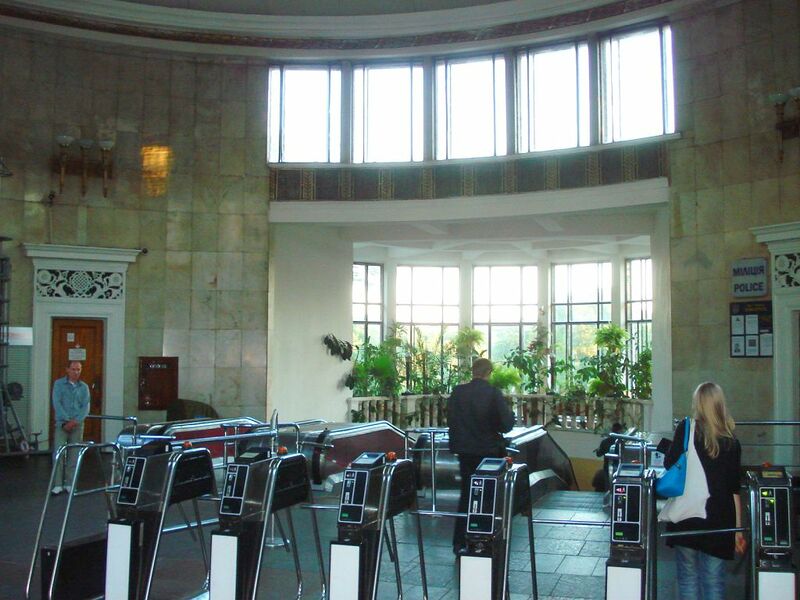 In Kiev you will be paying 9 cent for a metro ride at any time, into any direction, for as long as your ride takes. Entrance to the Metro at the “Universityet” Metro station. Cheap, fast and realiable, the metro is Kiev’s major means of transportation, and it connects all parts of the city until midnight every day. The metro is popular with locals in such a way that proximity to a metro station can weigh in more with buying or renting an apartment than a great cost-benefit ratio. Take my word on the fact that Kievans make good use of their metro. Going by metro during rush hour often comes with Tokyo-style crowded subway cars and stations. If you are fine with using public transport then your monthly expenses for transportation will not exceed $11 as this amount will cover 4 rides on every single day of the month. For your nightly activities or if you are no fan of public transportation you can easily ditch the metro for going by taxi exclusively. With the current conversion rate of 1 USD/1 Euro equaling 22/24 UAH the amount of money you will be paying for taxi fare will come down to what you will be paying for a mere subway ticket in the West. Getting from one end of the city to the other end will basically never cost you more than 50 UAH. Taxis can be more expensive if you order one from one of the English speaking taxi companies that cater to tourists exclusively. But even if you don’t speak Ukrainian or Russian there is an easy way to pay the local’s price of taxi fare. Just stick with the Taxi-ordering-app Uklon (also available on http://uklon.com.ua), and use it as the Ukrainian equivalent to Uber. With full GPS support that automatically sets your current location as your point of departure, a taxi in Kiev is never more than two swipes away. Have you ever been to a city where McDonald’s famous BigMac sandwich costs $0.86? That is the actual price (19 UAH) for the same burger that in the United States would set you back a good $4.80 – or even $7.75, if you were living in Oslo Norway. McDonalds on Khreshatyk (left corner of the building),, open 24 hours a day. There is no doubt about the fact that buying food and eating out is the one field of everyday life where you become fully aware of your currency’s exchange rate. Starting with the daily offer called “Biznes Lanch” (Бизнес-ланч in Russian/Ukrainian) that is offered for 50-65 UAH ($2.25-$2.95) by basically every restaurant in the city, eating out in Ukraine comes at prices that are more or less incomparable to the West. As corny as it sounds, Biznes Lanch is by no means a tourist trap. Albeit served in rather modest portions, it is a full three-course meal including a soup for starters, a local dish as the main course and fresh fruit as desert . Eating out in one of the nice Italian (La Oliva) or French restaurants (Très Français) located around Maidan will hardly ever come down to more than $13 per person, a price that includes literally everything from an appetizer over a splendid main-course from the grill to deserts as well as the obligatory 1-2 glasses of wine, beer or soft drinks. Since breakfast at a local Cafe will cost you just as much as a biznes lanch at a restaurant the pricing in Kiev would allow you to eat out three times a day while at the same time never spending more than $18 a day. One thing that you do have to keep in mind and that noone in Kiev, not even the waiters, will tell you about is this: Ordering a main course (meat/fish) at any restaurant that does not cater to Western travelers almost exlusively (the restaurant inside the Hilton Hotel) will mean you are ordering the main-course by itself, without any side dishes. This can simply ruin your evening: ordering “a steak” will get you nothing but a hot piece piece of meat. You are now forced to order your sides separately, meaning they will arrive after your steak has turned cold, or you are left to have your massive sirloin steak “all by itself”, making you feel like a prehistoric carnivore after the first couple of bites (trust me on this one). If you prefer to cook yourself then you can do so with a fraction of the $18 you’d spend for eating out three time a day. Sinces groceries in Kiev are much cheaper than in the West, spending an average of $6 per day on groceries, e.g. doing a weekly grocery shopping haul with the incredible amount of almost 1000 UAH, the monthly pension of an elderly lady,will let wine and dine at home like a king in France. If there is one thing that preceeds Kiev’s reputation apart from last year’s protests then it is the city’s thriving nightlife. This is more than understandable as Kiev’s nightlife really is a class of its own. And that for several reasons. The most obvious reason should be clear by now: Kiev’s nightlife, too, is taking place within the local price level. Everything from cover charges to drinks will be well below anything you are used to in the West. Most nightclubs do have a cover charge, but with the one exception of the upper-class nightlcubs around the Arena City Entertainment Complex located right on Khreshatyk, charges hardly ever exceed the price of 80-100 UAH (3.60-$4.50). Drinks are just as reasonably priced. 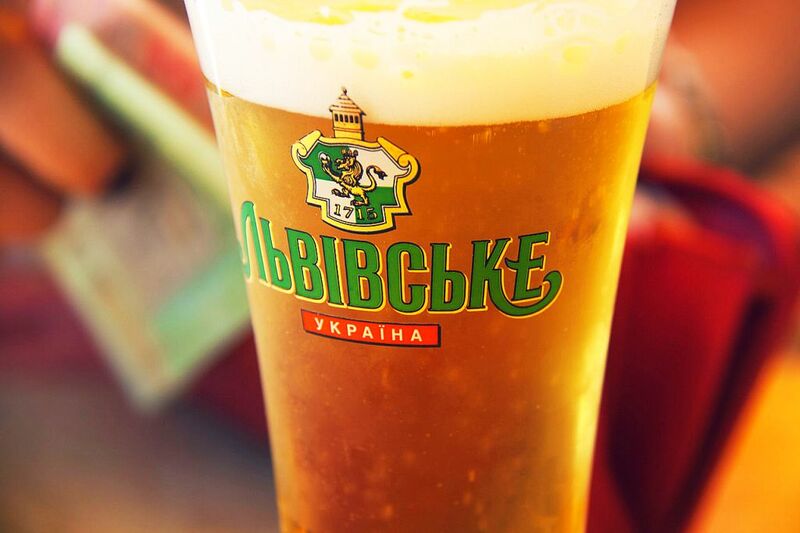 Almost every nightclub sells draft beer of the Lvivske brand for $1 per 0,5 liter glass. A cocktail like a Mojito, Screwdriver or Capirinha will cost you three times as, but at that will equal just $3-$4 it is not to be considered pricey by any standard. Even a full bottle (0,75 liter) of quality Vodka including table a rented table can be had for as little as $15-$20 (except for bar stools you will have to pay for any seating opportunity at nightclubs in Kiev). Unless you do a lot of bottle service or are a heavy drinker the mere amount of $25 will finance all of your expenses for a big night out in the city: both ways of the taxi fare, a cover charge as well as 4 beers and 2 cocktails will hardly sum up to more than $20 to $25. Another specialty about Kiev nightlife is the fact that striptease dancing has no negative stigma. 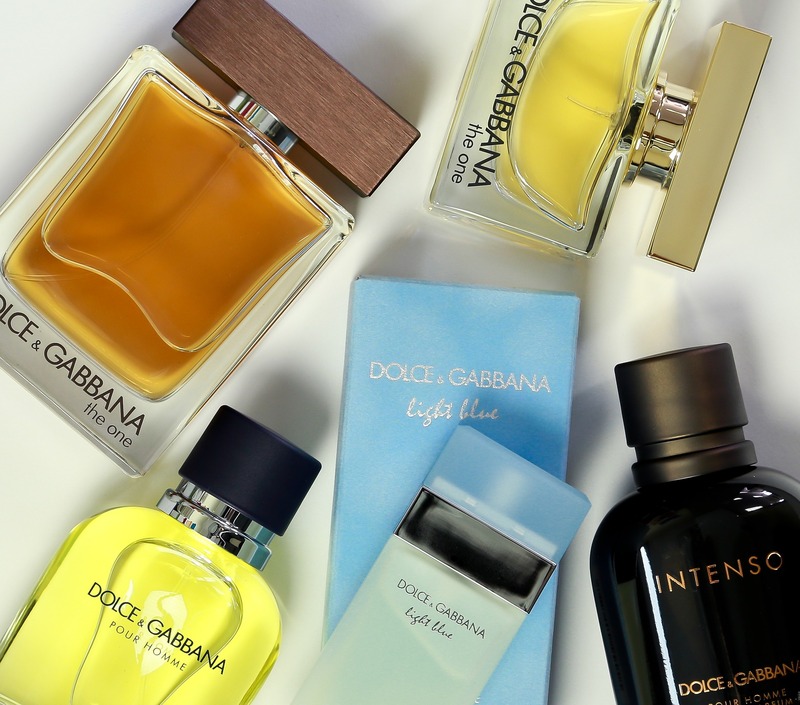 Even in the most average nightclubs is it a regular part of the nightly routine. Men and women alike watch the performance, give a short applause once it ended and then turn back to chatting, dancing and drinking. If nightlife is not the thing for you then there are tons of other interesting things to do during the daytime. Let me just present to you three hand-picked activities that are guaranteed to show you something you don’t see all day back home. But before anything else, Kiev actually is an attraction in itself. The picturesque Sofiskaya Chapel, 300m north of Maidan. 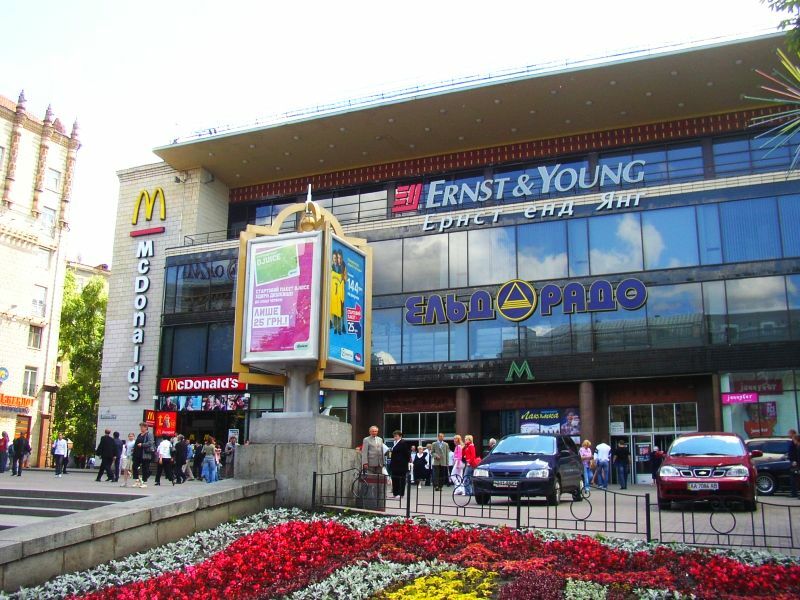 Unlike many other Eastern European cities that turn into a rather dull experience once you leave the well-refurbished market square in the city center, Kiev actually is an attractive, interesting and versatile city. With an abundance of churches, cathedrals, squares, green avenues and lots of other interesting places to see just walking around the city can be a joyful experience. Talking about “walking around the city” and “joyful” experiences, let me now introduce the second attraction that will take the joyfulness of walking around Kiev to the next level. I am refering to a small and almost hidden part of town that can you found once you walk past Sophiskaya Chapel and down a tiny cobble stone lane called Andrevskiy Descent. Not coming to a stop at the end of this lane and turning around like all the tourists do, but walking the virtual extra mile will take you right to almost undiscovered Kiev-Vozdvizhenka (“Vuz-dvee-jenka”). The most striking fact about Vozdvizhenka is that none of the buildings can back up what it seeks to portray, namely an actual 19th century mansion. In fact, every single building in Vozdvizhenka was built from scratch only within the last 5 to 10 years. 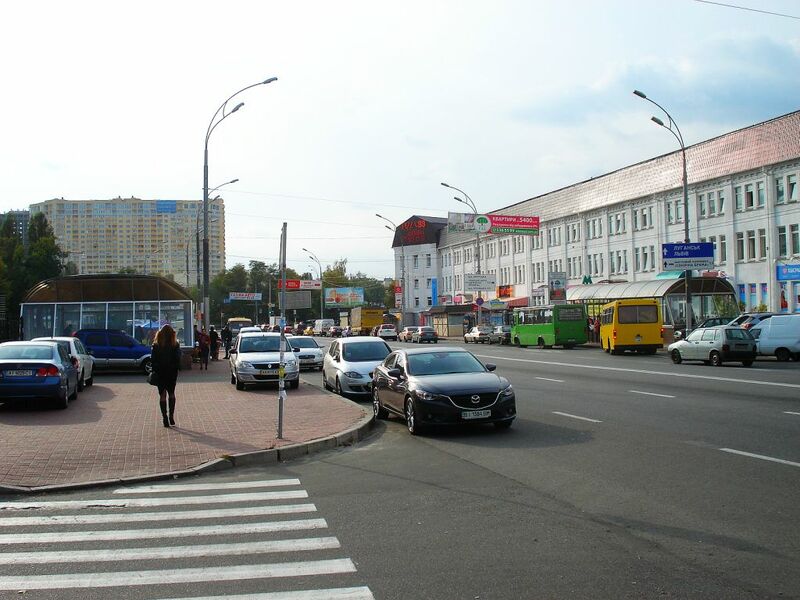 Almost a decade ago Kiev’s millionaires and oligarchs came up with the idea to congregate in one part of the city and they chose Vozdvizhenka as the location for their exclusive neighborhood. Sadly, the real estate bubble of erecting an country club-community on what previously had been urban wasteland busted like many other bubbles had busted before. What is left from this private undertaking in urban planning is an abundance of mansions and urban villas that look as if they were taken right out of the film adaption of Charles Dickens’ Oliver Twist. Without enough buyers many of the building today are uninhabited and even partly unfinished from the inside. Financially speaking the majority of houses act like as money sinks to their owners. Nonetheless, walking around the tiny cobble stone lanes of Vozdvizhenka will make you feel as if you were wandering around a deserted film set and not a Eastern European city. What you will pick up here is a mixed vibe of awe on the one hand and the very subtle feeling of being creeped out on the other: uninhabited as the houses are there is hardly anyone to be seen in the streets apart from occasional car of a carpenter. The Twilight Zone-like atmosphere in this part of town is hard to put into words. 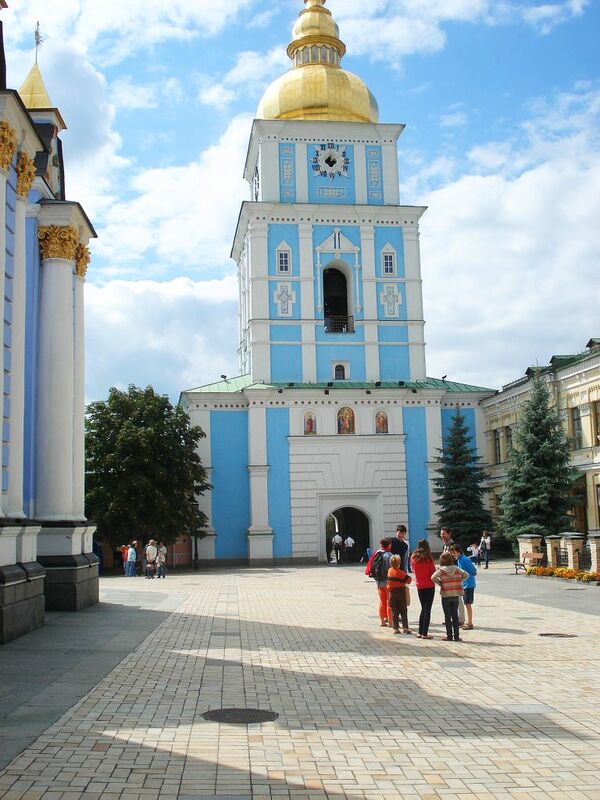 Nonetheless, even though Vozdvizhenka is by far not considered a “classic” sight for travelers – or perhaps not even a sight at all -, visiting Vozdvizhenka and taking in its special atmosphere is a must for traveler going to Kiev. The second attraction is almost as undiscovered as Vozdvizhenka. 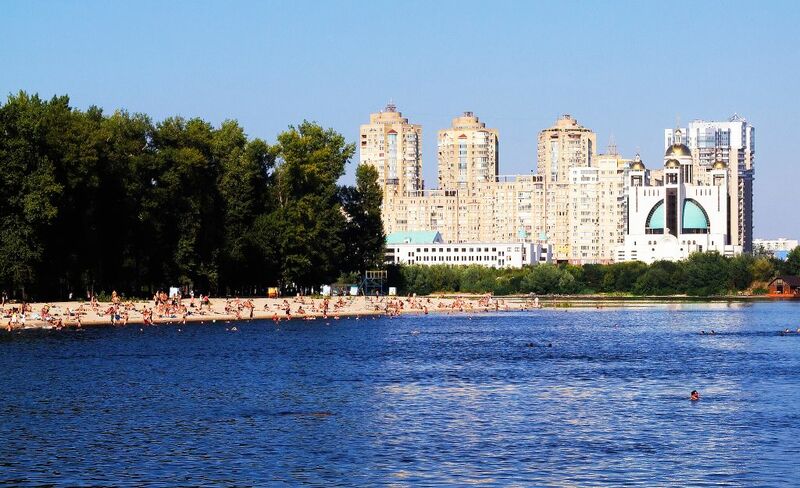 Even among people who are well-traveled in regard to Eastern Europe is it a little know fact that the city of Kiev is home to its very own city beach that goes by the name of Hidropark. Built in 1971 as a means for urban recreation Kiev’s Hidropark nowadays has several beaches where you can lay down, have a drink and enjoy the sun. 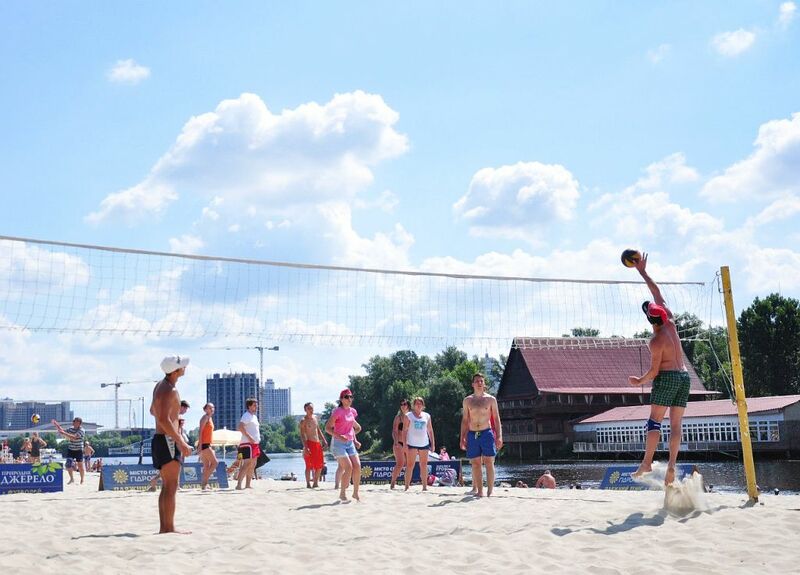 As a specieal feature some of the beaches have received large deposits of extra sand making them the perfect ground for volleyball tournaments that are held regularly during summer. The water quailty of Kiev’s Denpr River highly varies. On certain section of the beach(es) the water quality is beyond good and evil while there are sections where the water decent enough to take short swim. What you can do is use the local’s as an indicator on whether the water is alright to be avoided or all-good to dive in. Regardless of that you will face some of Kiev’s fearless youth that will jump off the nearby bridges head first while doing all kinds of spins and sequences. Both with differing success. There you have it. Kiev really is the only major European city that allows you live like a king with a budget that doesn’t even exceed the $1000 mark. Add to that all thefun stuff you can do as described in this article as well as the countless other free option that Kiev has to offer and you really have no excuse not to travel to Ukraine’s capital in 2015.